My daughter asked if I would make it for her husband’s daughter’s birthday in April. Since I really like this guy, I said yes. We had most of the supplies. I only needed pale yellow yarn and long pipe cleaners. The cheeks were a bit of a problem. The pattern said to apply blush. That’s it. We tried fabric pens and craft paint on yarn pieces. The best was a pink Sharpie applied to a Q-Tip and gently blotted to the cheeks. Talk about holding your breath! 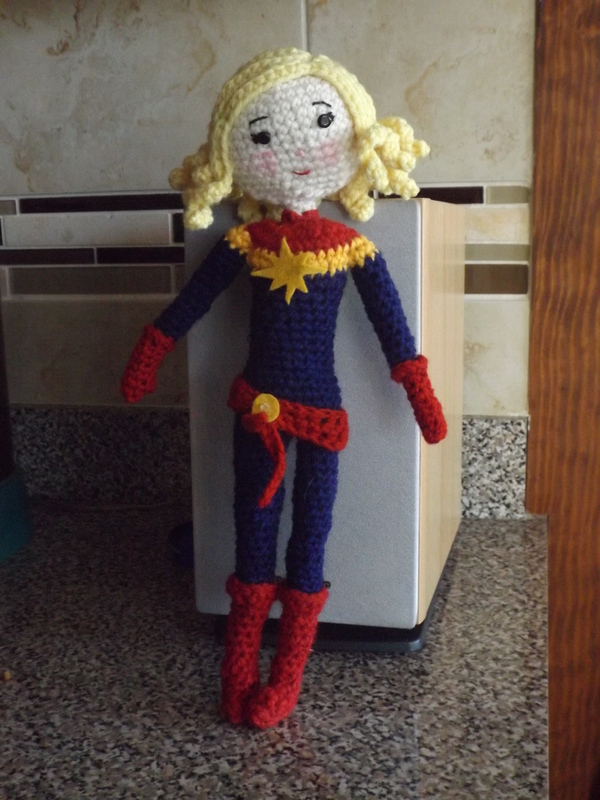 She’s at Comicon in Chicago dressed as Captain Marvel so I think she’s going to like it.